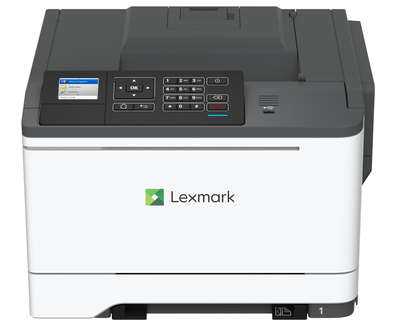 Start your color journey with the Lexmark CS421dn, the small-workgroup printer that helps you control the cost of color output at up to 25  ppm*. A steel frame, long-life imaging system and robust paper feeding system that reliably handles diverse media types and sizes all support lasting performance in any environment. With its small footprint, it’s easy to find a place for. And the new front-panel power button and direct-print USB port, 2.4-inch colour LCD with keypad and secure browser-based device management make it easy to interact with. Thanks to PANTONE® calibration, embedded colour sample pages and Lexmark colour Replacement, you’ll get accurate, professional colour in-house. And you’ll save toner with included tools that let you choose when and how much colour to print, including mono-only print drivers, user-based colour print permissions, global colour density control, object-specific colour Saver, proof before printing and more.